I was saddened and dismayed to witness the report broadcast in the Al Jazeera television network about incidents relating to alleged tampering of pitches used for international matches played at the Galle International Stadium. As you aware the game of cricket is the preeminent sport in Sri Lanka and has captured the hearts and minds of the public of our country. Thus, games of cricket in particular international cricket should be played under conditions which are above the suspicion of any foul play or malpractice. 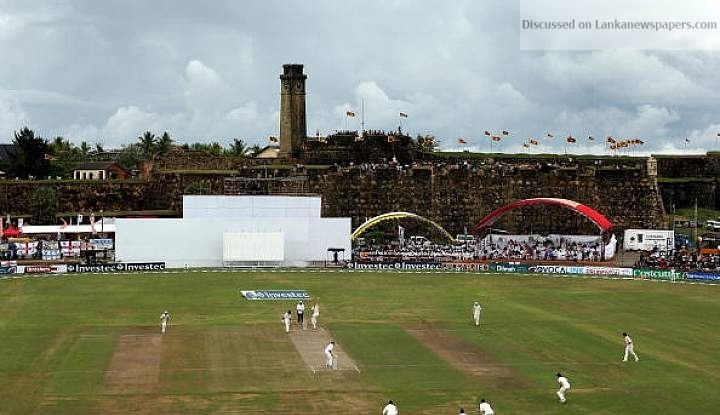 b) Promptly initiate an independent investigation into the alleged incidents of ‘pitch fixing’ at the Galle International Stadium in order to ascertain the veracity of the said allegation. c) Impose strict punishments on any employee, agent or assign of Sri Lanka Cricket who may be found to have been involved in the said alleged incidents by the said investigation. 1. SLC will complain to the Criminal Investigations Department against the persons who have been allegedly involved in “Pitch Fixing” as reported in the Al Jazeera documentary. 2. SLC decided to suspend with immediate effect the alleged individuals involved in the said incident against whom ICC is carrying out investigations. 3. SLC will fully co-operate and offer all assistance to the ICC on its investigations on the said Al Jazeera documentary which has wider allegations globally. 4. SLC appointed a 3-member committee consisting of Mohan de Silva, Air Commodore Roshan Biyanwila and Channa Weerakkody to submit a report within 3 days, making recommendations on the existing protocols; applying to the Management and Staff of every venue and to implement safeguards to prevent occurrences of such incidents in the future.